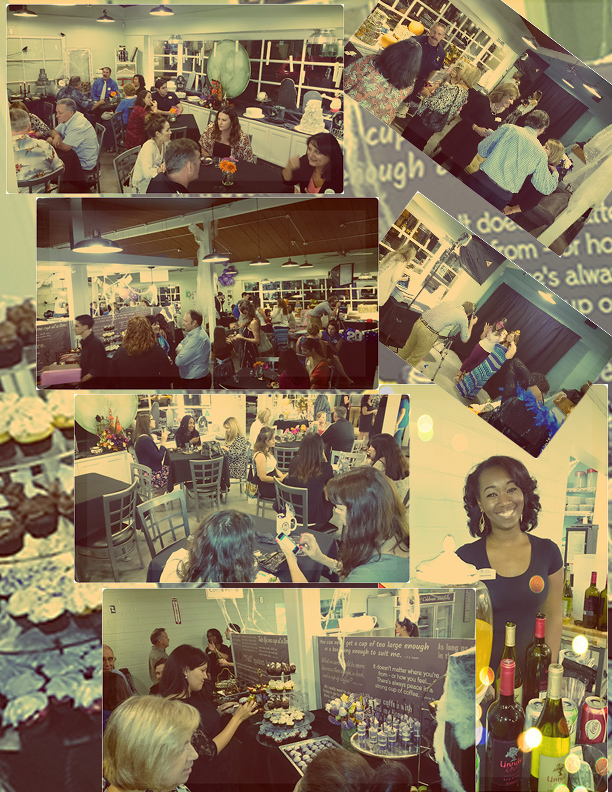 There was a full house all night for the grand opening of Cute Cakes in Escondido, CA tonight. Members from the community came to welcome the business with open arms as they have spent their years growing helping other businesses within the community thrive. Jill Reilly started out in her own kitchen seven years ago, working to get where she is now, and continuing to thrive throughout San Diego County as she has been operating her downtown location for the past two years. The room was filled with friends, family, government officials, and honorary guests. I have been lucky enough to find myself in the company of this group of wonderful people. 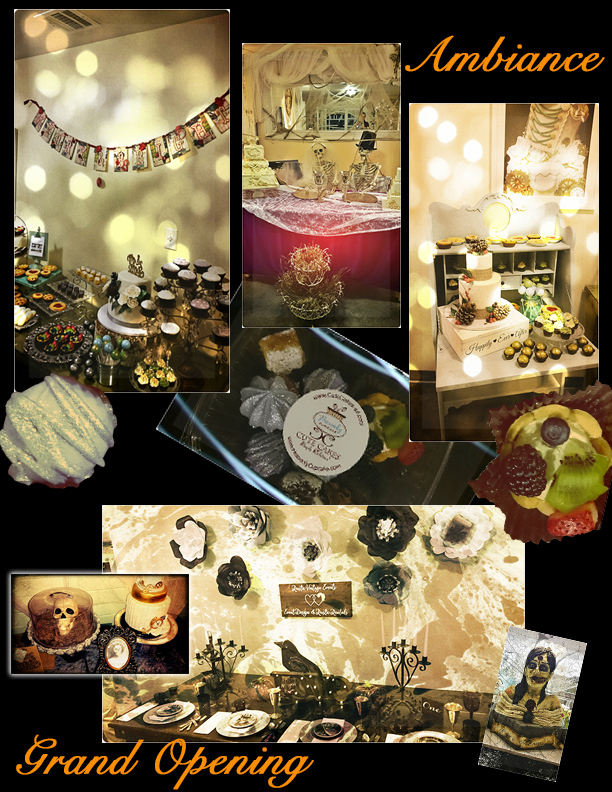 They show great talent in their work as they design the baked goods featured in their stores to fit the dreams and inspirations of every body that walks into their assemblage. My husband and I were impressed at the work they had done to create our wedding cake three years ago and have gone back every year since to get the same exact Virginia Apple Walnut Cake with Peanut Butter and Raspberry Jelly filling for our anniversary. I spent months looking for a local baker that would do gingerbread for our wedding and Jill was the only bakery to answer to the challenge. They did an amazing job. Even their own staff has yet to forget that cake order. Hall-Walbourne wedding cake by Cute Cakes November 3, 2012. Photo by Leslie Dunn. Now that Cute Cakes has been blessed enough to grow to the size they have as present, they are using their space wisely and helping other businesses in ways that help them to promote their own companies within the same location; share the space for meetings and group events; and promote their work throughout the bakery; even hold meetup groups. Now, guests that frequent Cute Cakes can come in for tea, have party’s, join in on fun baking classes, and enjoy breakfast and lunch along with all their well known treats. The bakery will continue to be hosting Gingerbread Haunted House decorating this Halloween Weekend. And then continuing the fun by doing gingerbread houses for the Winter Holiday season. 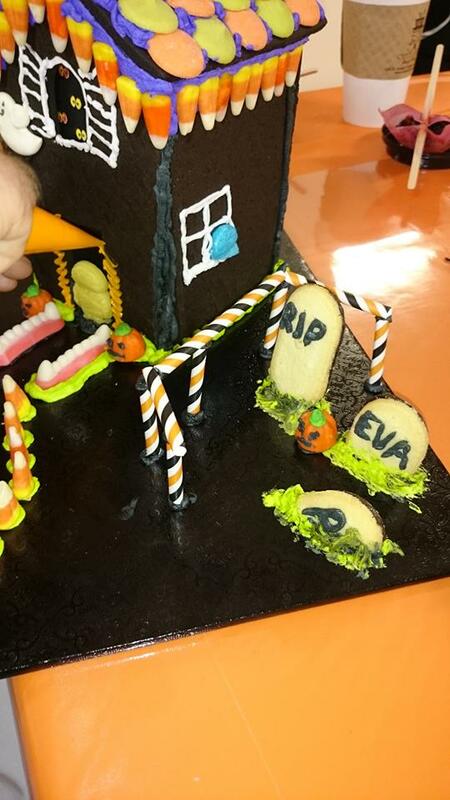 Having fun making haunted gingerbread houses with Cute Cakes, by Anne S. Hall. Cute Cakes – Escondido. 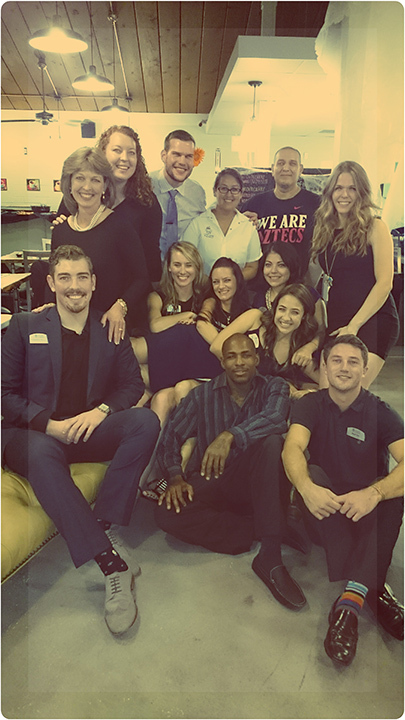 From a small team of three to this wonderful growing team of today! 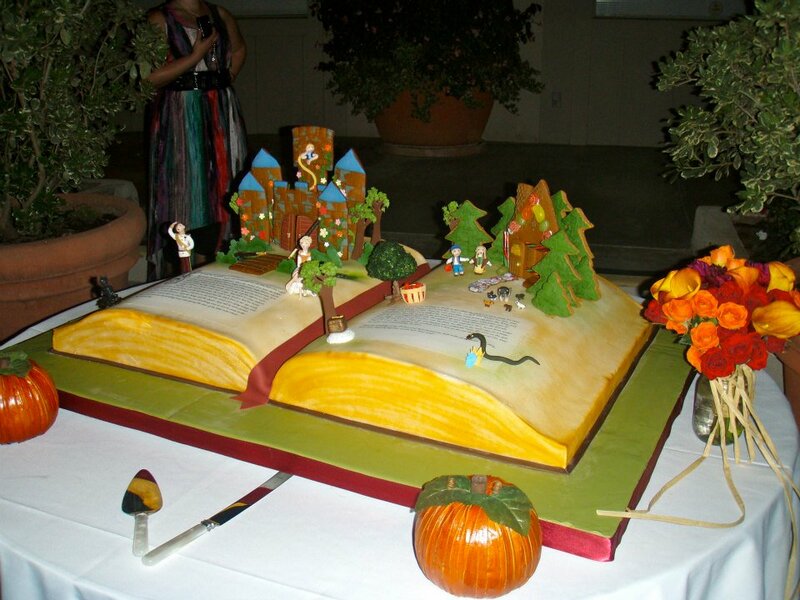 Calendar of Events provided by Cute Cakes of San Diego.